Paz, Y. and Kuwabara, H. 2007. The First Season of Excavations at Tel Rekhesh: The Preliminary Stage (15-27 March, 2006) – Excavation Results. Orient Express: Notes et Nouvelles d’Archéologie Orientale 2007–1/2: 17–25. Paz, Y. Okita, M., Tsukimoto, A., Hasegawa, S., Lim, S.-G., Sugimoto, D.T., Onozuka, T., Tatsumi, Y., and Yamafuji, M. 2010. Excavations at Tel Rekhesh. Israel Exploration Journal 2010: 22–40. Hasegawa, S. 2010. Tel Rekhesh Excavations 2006-2009, Israel. Sprawozdania Archeologiczne 62: 413–428. Tsukimoto, A., Kuwabara, H., Paz, Y. and Hasegawa, S. Tel Rekhesh 2009: Preliminary Report. 2011. Hadashot Arkheologiyot: Excavations and Surveys in Israel 123 (http://www.hadashot-esi.org.il/report_detail_eng.aspx?id=1678&mag_id=118). Aharoni, Y. 1967. Anaharath. Journal of Near Eastern Studies 26: 212–215. Goren, Y., Finkelstein, I., and Na’aman, N. 2004. Inscribed in Clay: Provenance Study of the Amarna Letters and Other Ancient Near Eastern Texts. (Tel Aviv University Sonia and Marco Nadler Institute of Archaeology Monograph Series 23). Tel Aviv. Gal, Z. 1982. The Settlement of Issachar: Some New Observations. Tel Aviv 9: 79–86. Gal, Z. 1988. Shahal Tahtit and the Early Enclosures. Israel Exploration Journal 38. Gal, Z. 1992. Lower Galilee during the Iron Age. Winona Lake IN: Eisenbrauns. Joffe, A.H., Hansen, J. Nordt, L., and Goldberg, P. 1998. Tel Rekhesh, 1998. Israel Exploration Journal 48. Joffe, A.H., Hansen, J. Nordt, L., and Goldberg, P. 1998. Tel Rekhesh, Eastern Lower Galilee: 1998 Pilot Season. Orient-Express 1998/3: 66–68. Finkelstein, I. and Langgut, D. 2018. Climate, Settlement History, and Olive Cultivation in the Iron Age Southern Levant, Bulletin of the American Schools of Oriental Research 379: 153-169. Erickson, N. 2017. Isaiah’s Model House. The Asbury Journal 72/2: 67-79. Garfinkel, Y. 2016. A Shrine Model from Tel Rekhesh. Strata: Bulletin of the Anglo-Israel Archaeological Society 33: 77–87. Paz, Y. and Iserlis, M. 2009. Golanite Production and Distribution Center of Cooking Pots during the Early Bronze Age II. In: Rosen, S. A. and Roux, V. eds. Techniques and People, Anthropological Perspectives on Technology in the Archaeology of the Proto-Historic and Early Historic Periods in the Southern Levant. Paris: 99–110. Younger, K. Lawson, Jr. 1995. The Configuring of Judicial Preliminaries: Judges 1.1–2.5 and Its Dependence on the Book of Joshua. Journal for the Study of the Old Testament 20: 75–87. Hasegawa, S. 2012. Olynthus Millstones in the Southern Levant: The Backdrop to the Maritime Trade of Olynthus Millstones. Palestine Exploration Journal 144: 102–114. Finkelstein, I. 2017. Compositional Phases, Geography and Historical Setting behind Judges 4-5 and the Location of Harosheth-ha-goiim. Scandinavian Journal of the Old Testament 31: 26–43. Zevit, Z. 2001. The Religions of Ancient Israel: A Synthesis of Parallactic Approaches. London/New York: Continuum. Onozuka, T. 2012. Keeping Up with the Demand for Oil? Reconsidering the Unique Oil Presses from Late Bronze Age IIB to Iron Age IIA in the Southern Levant. Orient 47: 67–90. Finkelstein, I. 2006. The Last Labayu: King Saul and the Expansion of the First North Israelite Territorial Entity. In: Essays on Ancient Israel in Its Near Eastern Context: A Tribute to Nadav Na’aman. Amit, Y., Ben-Zvi, E., Finkelstein, I. and Lipschits, O. eds. Winona Lake IN: Eisenbrauns: 171–187. Nissinen, M. and Münger, S. 2009. «Down the River…»: A Shrine Model from Tel Kinrot in Its Context. In: A Timeless Vale. Archaeological and Related Essays on the Jordan Valley in Honour of Gerrit van der Kooij on the Occasion of His Sixty-Fifth Birthday. Eds. Kaptijn, E. and Petit, L.P. (Archaeological Studies Leiden University 19). Leiden: Leiden University Press: 129–144. Finkelstein, I. and Na’aman, N. 2005. Shechem of the Amarna Period and the Rise of the Northern Kingdom of Israel. Israel Exploration Journal 55: 172–193. Ussishkin, D. 2004. Appendix: Asymmetrical Bowls and Bowls in Assyrian Style. In: The Iron Age and Post-Iron Age Pottery and Artefacts (Vol. 4 of The Renewed Archaeological Excavations at Tel Lachish (1973–1994), ed. Ussishkin, D. Tel Aviv: Emery and Claire Yass Publications in Archaeology: 1900–1906. Na’aman, N. and Thareani-Sussley, Y. 2006. Dating the Appearance of Imitations of Assyrian Ware in Southern Palestine. Tel Aviv 33: 61–82. Rainey, A.F. 1968. Gath-Padalla. Israel Exploration Journal 18: 1–14. Singer-Avitz, L. 2007. On Pottery in Assyrian Style: A Rejoinder. Tel Aviv 34: 182–203. Bagg, A.M. 2013. Palestine under Assyrian Rule: A New Look at the Assyrian Imperial Policy in the West. Journal of the American Oriental Society 133: 119–144. Finkelstein, I., Weiner, S. and Boaretto, E. 2015. Preface—The Iron Age in Israel: The Exact and Life Sciences Perspectives. Radiocarbon 57: 197–206. Ben-Shlomo, D. 2006. New Evidence of Seals and Sealings from Philistia. Tel Aviv 33: 134–162. Ussishkin, D. 1990. 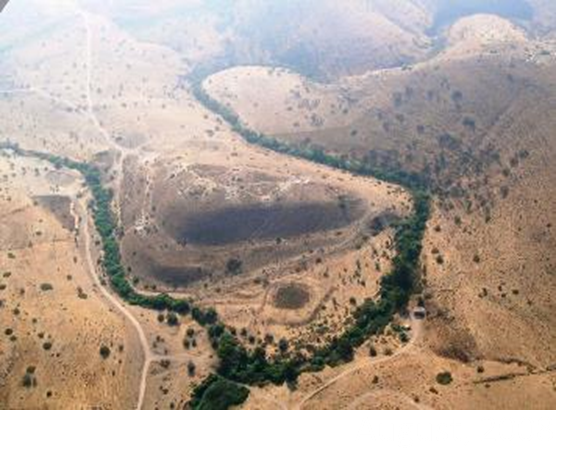 The Assyrian Attack on Lachish: The Archaeological Evidence from the Southwest Corner of the Site. Tel Aviv 17: 53–86. Faust, A. 2015. Settlement, Economy, and Demography under Assyrian Rule in the West: The Territories of the Former Kingdom of Israel as a Test Case. Journal of the American Oriental Society 135: 765–789. Zuckerman, S., Ziv-Esudri, A. and Cohen-Weinberger, A. 2009. Production Centres and Distribution Patterns of Khirbet Kerak Ware in the Southern Levant: A Typological and Petrographic Perspective. Tel Aviv 36: 135–180.